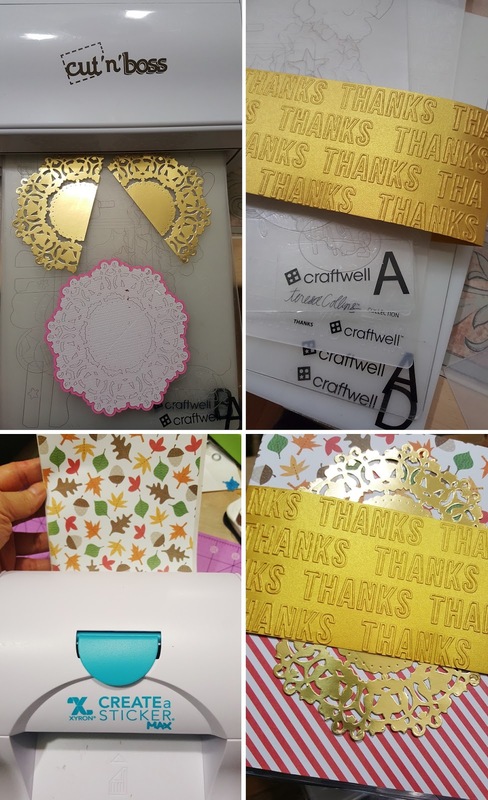 First die-cut all the embellishments using the dies and Cut 'n' Boss, as shown in following picture. 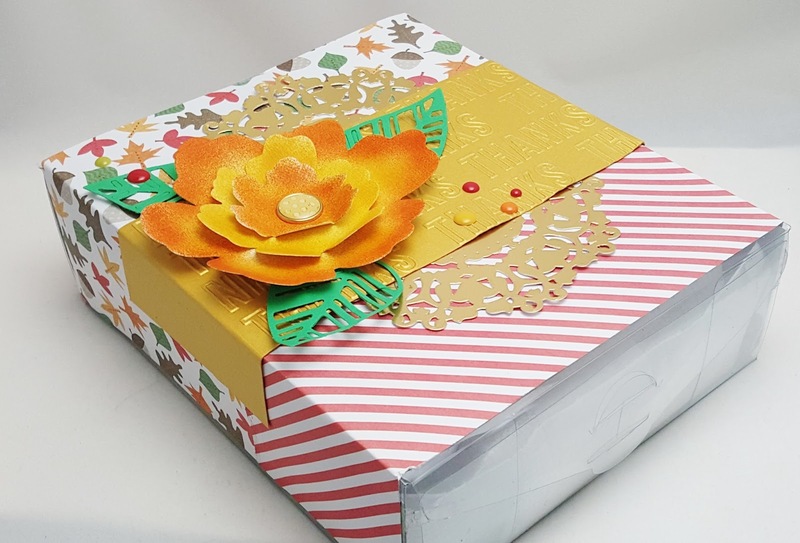 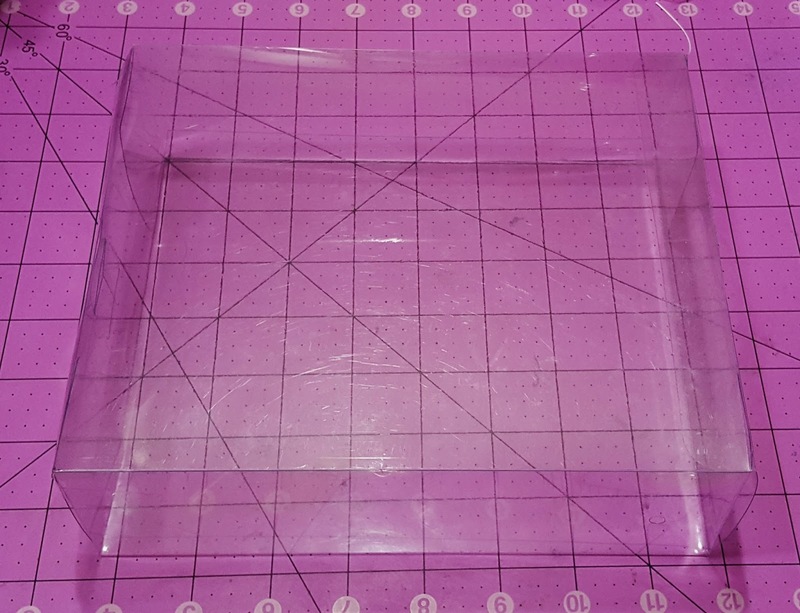 Also, prepare strips of patterned papers and glue around the clear box. 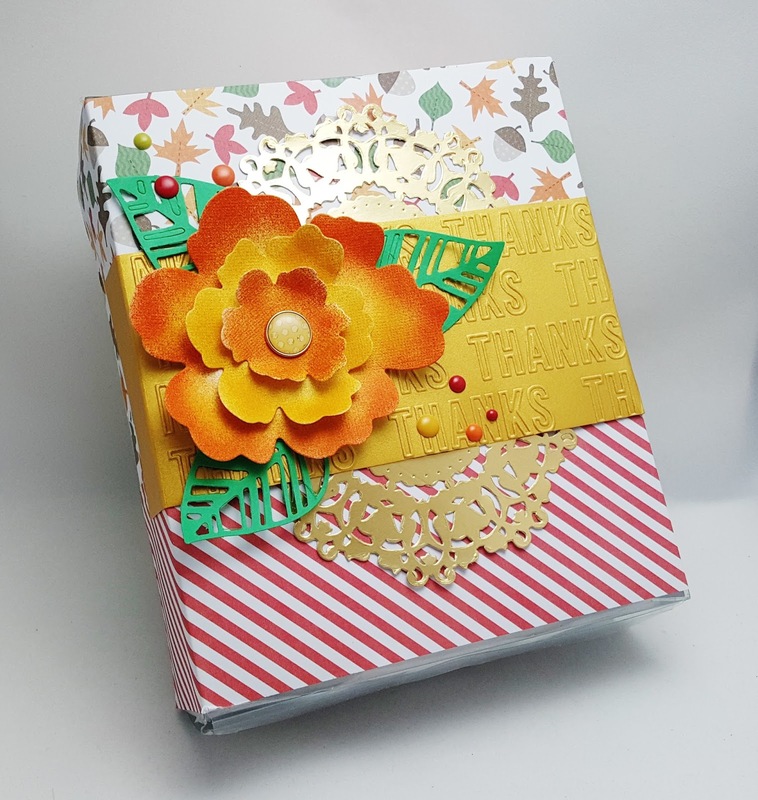 Place and adhere doilies on top of the patterned paper and then emboss + adhere the THANKFUL shimmering gold card stock over the doilies. 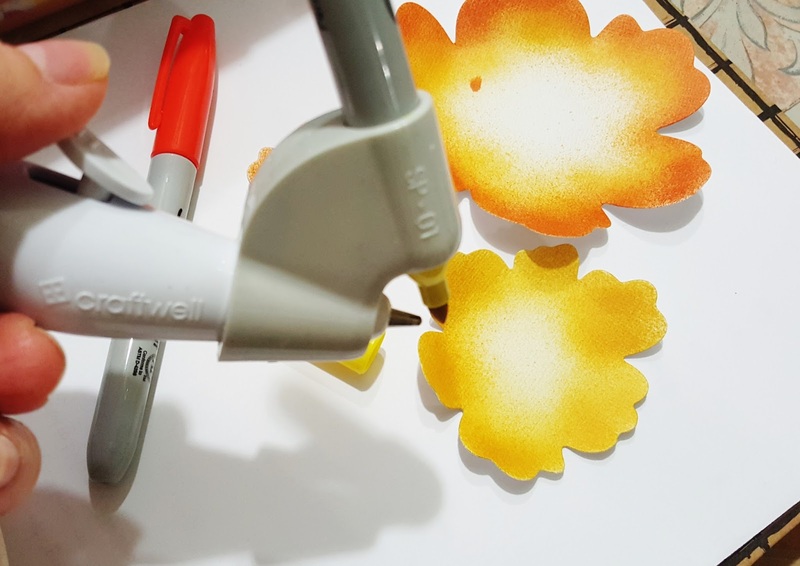 Lastly, air brush the Layered 3D flower die from Teresa Collins, and assemble it.